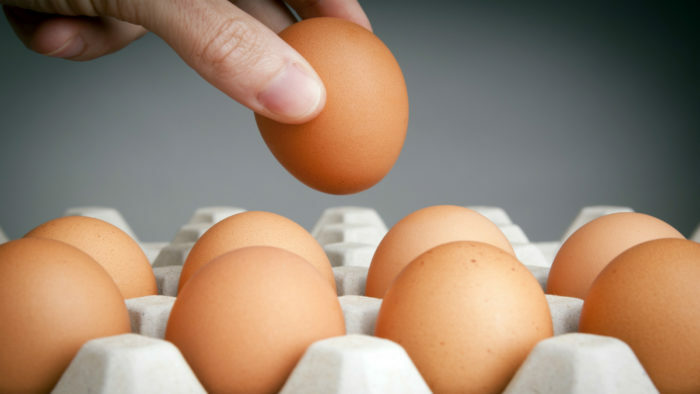 The best way to eat eggs for muscle building is the straightforward way. No extra oil, no butter, no salt, just eggs. Eggs have had their controversial times in the past, with doctors claiming that they aren’t good for your heart. But eggs are making a comeback. So, if you are a bodybuilder and looking for some good fat protein, eggs should be high on your list. Remember, there is never not a best time to eat eggs for muscle building or otherwise. I could spoil your supper and tell you to eat eggs like Rocky Balboa did, raw and straight out of the shell. And if your stomach doesn’t turn at the thought of eating slimy, gooey raw eggs, or 12, go for it. However, if you are not interested in eating slime, boil them. Hard-boiled eggs give you all the same benefits of raw eggs. You don’t need any oil or butter or even nonstick spray to cook them. You do not need any extras. And you certainly can add a little salt or Tabasco sauce for some seasoning but you don’t have to. For a complete meal, you can add a vegetable to the deal. A protein and a vegetable will make sure you bulk up and get the fiber you need for digestion. Typically, foods work better in combination. Also, if you are looking to bulk up, you can add a piece of whole grain toast. Carbs are nothing to a bodybuilder if they are the right kind of carbs. If what you seek is lean muscle though, avoid the toast. So you may be wondering how to eat an egg for bodybuilding. It is simple. Head out to your local big box store and grab a couple packs of two dozen eggs. Some stores even carry three dozen packs. Bring a large pot of water to boil. Once the water is boiling, add your eggs, slowly, so the shells don’t crack. You want to be sure you have the eggs completely covered with water. Boil for ten to fifteen minutes. I recommend the T-Fal 3 Quart Pot (click to see pricing on Amazon). Once the time is up, place the pot under a cold water tap and add cold water. Gradually, all of the hot water will be replaced with cold water. Let the eggs sit in the cold water for about a half an hour to completely cool off inside. Finally, smack your egg on the countertop and peel away. You can snack on asparagus or cucumber to combine your foods properly. If what you are truly searching for is bulk, eat your eggs, veggies, and toast before bed. The fat and carbs will rest in your body and be ready to be converted to muscle the next day. Many weightlifters carb load before a big workout, and often they do this the night before. You want the energy to have spread throughout your body. If you eat to close to the workout, you will end up making yourself sick. No one can get a good workout with a stomach ache. As an alternative, if you’re going for cheat day, or a big-time lift the next day, you could make a frittata or an omelet. Omelets can do all your food combo work for you. Make sure, even on your cheat day, that you are treating your body well. You want to stock your omelet full of veggies and add a couple of pieces of toast on the side. Because we’re going for bulk, you’re going to want a five-egg omelet, so make sure you have a big enough pan. Five eggs is going to be about all you can eat in one sitting. To make an omelet, heat up your saute pan and add a little bit of olive oil. Olive oil will deliver healthy fat to your bloodstream which is good for body function. Crack your eggs into a bowl and beat them. Add a little bit of salt to season. Salt brings the flavors of different foods together. I recommend the Calphalon Omelette Pan (click to see current pricing on Amazon). On the side, cut up all the veggies you want to add to your omelet. You could add asparagus, bell peppers, spinach, even tomatoes, all superfoods. If you’re really looking to double down on the protein, you could even add some ham or bacon to the mix. Once your oil is hot enough (it should feel hot to your palm just above the pan), add your veggies (and ham if you added it). Mix your veggies until they are tender. Once the veggies are ready, add your beaten eggs and stir immediately. Then, you want to let your egg settle in the pan and solidify. You can use your spatula to lift the edges of the egg so that the uncooked parts dip under the cooked parts until the entire egg is solid. Once the egg is solid, do the last, and best, thing you could possibly do to an omelet: add cheese. You must have cheddar cheese on your omelet. That is the alternative to hard-boiled eggs for bodybuilders. You probably should only do that on cheat day. 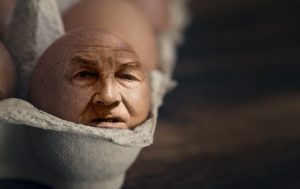 Eat your eggs. They are good for heart health, they will bulk you up, and they will deliver the protein you need for strong, healthy muscles. Whether you decide to eat them raw or boiled, in an omelet or frittata, get the dietary needs you deserve with a nice heaping pile of eggs. In the end, eggs are easy to digest and easy to prepare. They aren’t expensive, so they will be nice to your wallet. Eggs are also easy to pack as a snack, so if you have to be on the road, you can throw some hard-boiled eggs into a container and get out the door. It is a good idea, even if you decide on the omelet, to have some hard-boiled eggs in your refrigerator always at the ready. You never know when you’ll want to grab a high protein, tasty snack.